Red Army is a big screen documentary about the Soviet Union and the most successful dynasty in sports history: the Red Army hockey team. Told from the perspective of its captain Slava Fetisov, the story portrays his transformation from national hero to political enemy. From the USSR to Russia, the film examines how sport mirrors social and cultural movements and parallels the rise and fall of the Red Army team with the Soviet Union. 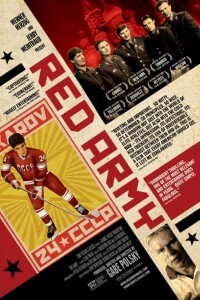 Watch the Red Army trailer.